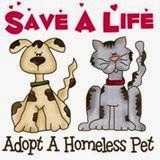 Hello All, I am sharing a CAS card today. 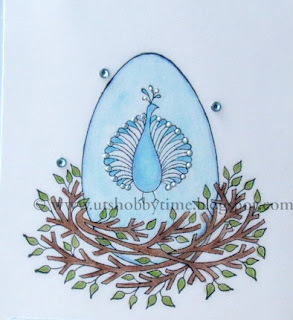 I started by stamping the Peacock image stamped on a white cardstock using Memento Black ink and colored the image using color pencil. Took another piece of white card stock and inked the background using Memento Summer Sky ink I then, adhered the stamped panel on the inked card stock. I sponged another small piece of white card stock and stamped the sentiment on it. Next, I glued the sentiment on the main panel. Finally, added rhinestones and liquid pearls (peacock feathers) to decorate the card. 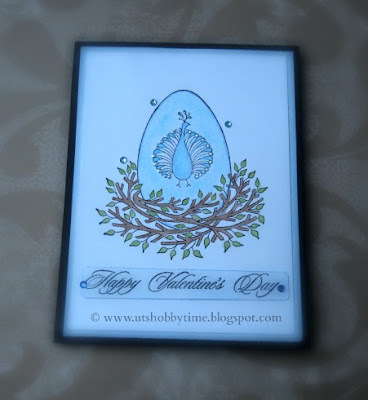 Both the Peacock Nest stamp and Happy Valentine's Day sentiment are from IO Stamps. If you like this post, please follow or subscribe to my blog by email / RSS or like us on Facebook. Adorable. 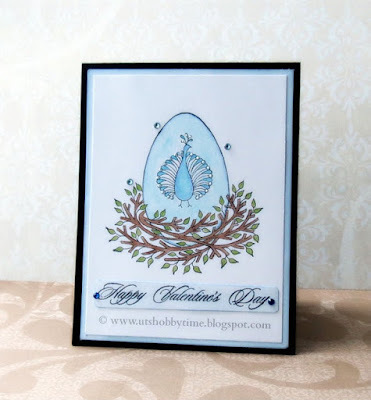 Love the blue hues you used for your card. So pretty! Beautiful Sara, love the peacock for the V-Day card! Beautiful card, Sara! 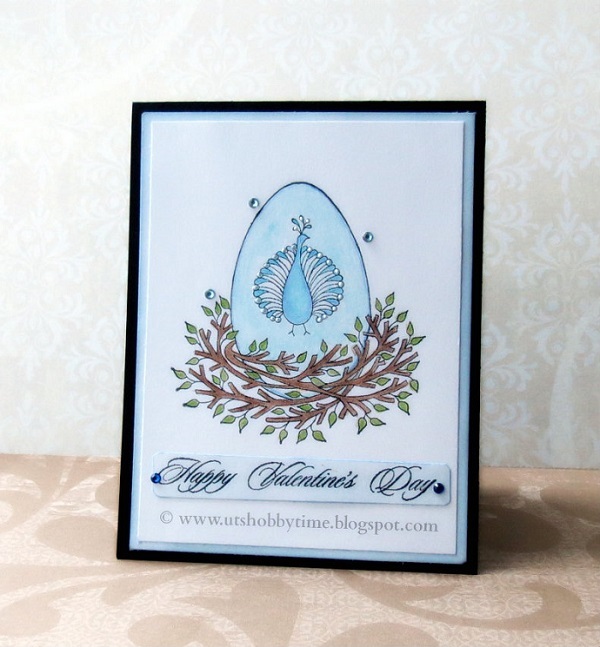 Nice to see a Valentine's Day card for a change of pace from all the Christmas creations in blogland right now! The peacock is gorgeous! You have some lovely stamps! Beautiful card! Love the blues! Thanks for playing the IO Challenge! This is so pretty and soft. Love it. So pretty! Thanks for joining us on the IO Stamps Challenge! Very beautiful card!! Love the image you have used!! Nice colors..
Gorgeous card, such a wonderful image (love peacocks) and your choice of colours is perfect! Such a pretty card, love the image! Awesome. 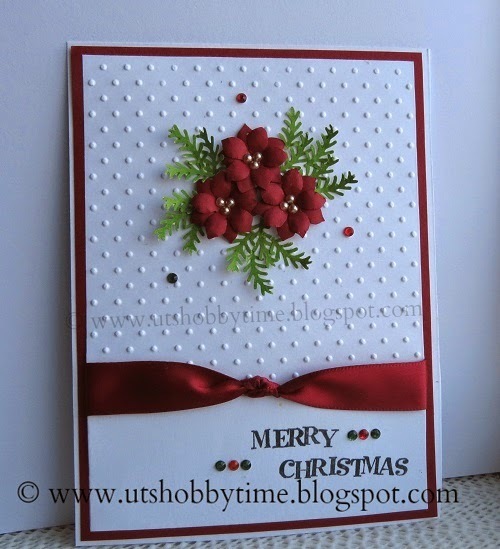 Thank you so much for entering our ATG challenge at Craft Your Passion. Looking forward to seeing you again next challenge. Your card is beautiful! Love the coloring and all the embellishments! Thanks for playing with us at Craft Your Passion! Hello Sara, How lovely to have a sweet comment from you. Just checked and don't see a recent post, so I hope it's just that Life has been very busy with the holidays. I think it's great that you've got a head start on Valentine cards (I brought some V. images on my trip to color, but none have I done!). This is especially pretty in the delicate blues & it's a most unusual design for a Valentine Card. I love the image, and the branches that trim the peacock are quite unusual. This is just so unique and well done. Wishing you all the best for 2016, and that it brings the things you need in your life to make you happy. TFS, Hugs, and Happy New Year. Sweet card!!! Thanks so much for participating in our LEMON SHORTBREAD challenge!!! Can’t wait to see you participate again in our challenge in the new year! !